Pioneers in the industry, we offer spectacle plate, flanged fitting, ansi flanges, slip on flanges, metal flanges and din flanges from India. We are able to provide Spectacle Plate DM 230 to our patrons. In order to manufacture this plate, our ingenious professionals use fine quality basic materials with the aid of state-of-the-art techniques. The offered plate is appreciated owing its accurate dimension and superior finish. 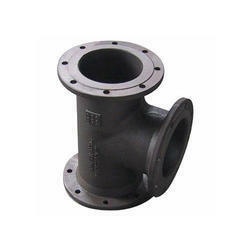 We offer Flanged Fitting of fine quality. They are precisely manufactured using premium grade raw material that is sourced from verified dealers. It is available in various specifications to meet the requirements of the clients. These fittings are easy to use and are well known to run for longer period of time. In addition to this, it is presented in the reasonable rates. Standard: ASME/ANSI B16.5, ASME/ANSI B16.36, ASME/ANSI B16. 47 SERIES A (MSS SP-44), SERIES B (API 605), BS4504, EN1092-01, AWWA C207, UNI 2276-67, DIN, JIS, BS 10:1962, IS:6392-1971, API 6A etc. Our company is among the most sought after offering ANSI Flanges to the clients. These products are manufactured by professionals utilizing high grade raw material under the guidance of experienced professionals in compliance with industry standards. Offered range is used in pipe fittings of industries like oil and gas petrochemical and offshore fields. ANSI Flanges are thoroughly checked under various quality assured parameters to ensure functionality and robustness. We have marked a valuable place in the market by offering Metal Flanges that is precisely fabricated making use of high grade raw material coupling with sophisticated technology in total compliance with the set industry parameters. In order to make sure quality, every product is stringently examined by our skilled quality controllers on assorted parameters of quality. These Din Flanges are extensively demanded in automobile, chemical and construction industry. 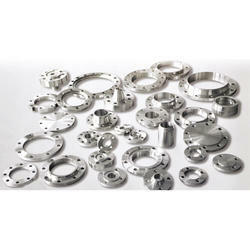 Our provided Din Flanges flanges are used for extremely high pressure applications. These Din Flanges flanges are manufactured by our adroit professionals using premium quality metal alloys with the aid of ultra modern machines at our manufacturing unit. The offered Din Flanges can be availed from us in various sizes and finishes at market leading prices. DIN Flanges Material: Carbon steel: A105, SS400, SF440 RST37.2, S235JRG2, P250GH, C22.8, Stainless Steel: F304 F304L F316 F316L 316Ti, Copper etc. DIN Flanges Surface Treatment: Anti-rust Oil, Transparent/Yellow/Black Anti-rust Paint, Zinc, and Hot dipped Galvanized. DIN Flanges Usage: Oil Field, Offshore, Water System, Shipbuilding, Natural Gas, Electric Power, Pipe Projects etc. 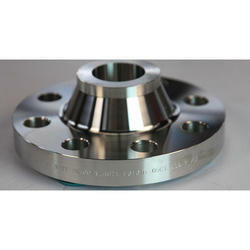 We are the leading supplier of Welding Flanges. Weld Flanges are device that is welded to the end of pipe so that the pipe can be bolted to another pipe with a similar flange. 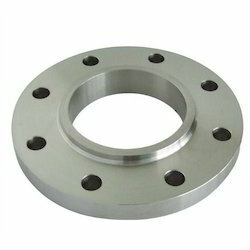 Carbon Steel, Alloy Steel Stainless steel socket weld flanges enable a pipe to be disconnected and reconnected with ease. 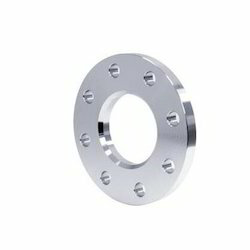 Available in a spectrum of shape and sizes, our forged light weight steel socket weld flanges are manufactured using superior grade material such as Carbon socket weld flanges, Alloy steel socket weld flanges and known for their durability and performance. Material: Carbon steel A105/Rst37.2/C22.8/Q235; Stainless steel 304/304L, 316/316L, 321, etc. We are a leading manufacturer and exporter of a wide range of Screwed Flanges, which has dimensions that corresponds to the inside diameter of the pipe and has a standard wall thickness of 40S. The weights of these flanges are based as per the clients’ requirements. RAJVEER STAINLESS AND ALLOYS is highly acclaimed manufacturer of pipe fittings & flanges. 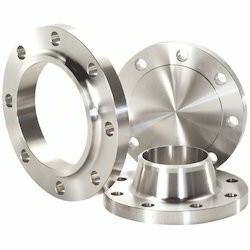 RAJVEER STAINLESS AND ALLOYS produces the flanges which meet all international quality standards such as DIN, EN1092-1, BS4504, ANSI, API, MSS, AWWA, UNI, JIS, SANS, GOST, NFE, ISO, AS, NS etc. We are manufacturing 75lbs, 150lbs, 300lbs, 600lbs, 900lbs, 1500lbs, 2500lbs, PN6, PN10, PN16, PN25, PN40, PN63, PN64, PN100, GOST 12820 and GOST 12821, PN0.6MPA, PN1.0MPA, PN1.6MPA, PN2.5MPA, PN4.0MPA, SANS1123 or SABS1123, 600kpa, 1000kpa, 1600kpa, 2500kpa, 4000kpa flange ratings as per application or client’s requirement. The ASME B16.5 Screwed Flanges ratings are very important for flanges application; correct flanges rating will keep the application safe. RAJVEER STAINLESS AND ALLOYS specializes in manufacturing high pressure, large diameter, high yield, and specialty flanges. ASME B16.5 Screwed Flanges are manufactured using superior grade of steel like Carbon Steel, Alloy Steel, Stainless Steel 201/202, 304/304L, 310S, 316/316L, 317L, 321/321H, 347/347H, 904L. 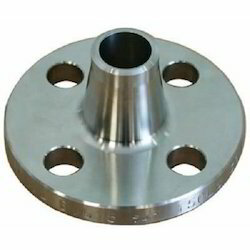 These Flanges are most durable and manufactures to fit in different size of Pipes. The majority of our flanges are manufactured from forged steel with a limited amount machined from bar stock. The forged construction provides higher strength and durability to provide long lasting performance in the application. RAJVEER STAINLESS AND ALLOYS is highly acclaimed manufacturer of pipe fittings & flanges. RAJVEER STAINLESS AND ALLOYS produces the flanges which meet all international quality standards such as DIN, EN1092-1, BS4504, ANSI, API, MSS, AWWA, UNI, JIS, SANS, GOST, NFE, ISO, AS, NS etc. We are manufacturing 75lbs, 150lbs, 300lbs, 600lbs, 900lbs, 1500lbs, 2500lbs, PN6, PN10, PN16, PN25, PN40, PN63, PN64, PN100, GOST 12820 and GOST 12821, PN0.6MPA, PN1.0MPA, PN1.6MPA, PN2.5MPA, PN4.0MPA, SANS1123 or SABS1123, 600kpa, 1000kpa, 1600kpa, 2500kpa, 4000kpa flange ratings as per application or client’s requirement. The ASME/ ANSI B16.5 Threaded Pipe Flanges ratings are very important for flanges application; correct flanges rating will keep the application safe. RAJVEER STAINLESS AND ALLOYS specializes in manufacturing high pressure, large diameter, high yield, and specialty flanges. ASME/ ANSI B16.5 Threaded Pipe Flanges are manufactured using superior grade of steel like Carbon Steel, Alloy Steel, Stainless Steel 201/202, 304/304L, 310S, 316/316L, 317L, 321/321H, 347/347H, 904L. These Flanges are most durable and manufactures to fit in different size of Pipes. The majority of our flanges are manufactured from forged steel with a limited amount machined from bar stock. The forged construction provides higher strength and durability to provide long lasting performance in the application. RAJVEER STAINLESS AND ALLOYS offers competitive pricing and added convenience on flange accessories like flange packs, gaskets, flange connector, and flange bolts, and many other flange accessories which are designed to meet or exceed SAE J518 and ISO 6162. Do you need your ASME/ ANSI B16.5 Threaded Pipe Flanges or other pipe flanges shipped to you internationally? Not only do we ship all of our fittings & flanges globally, we will consolidate the order for you and ship it to the closest port near you. We have gained several Orders of ASME/ ANSI B16.5 Threaded Pipe Flanges from countries like US, Canada, Chile, Brazil, UK, Italy, Belgium, France, Portugal, South Africa, Nigeria, United Arab Emirates (UAE), Bahrain, Saudi Arabia, Qatar, Kuwait, Jordan, Malaysia, Thailand, Singapore, Indonesia, Sudan, Kazakhstan, Australia, Israel, Kenya, Russia, Tunisia, Vietnam, Colombia, Sri Lanka, etc. Should you like to send you next enquiry for ASME/ ANSI B16.5 Threaded Pipe Flanges to RAJVEER STAINLESS AND ALLOYS, please send us an email. 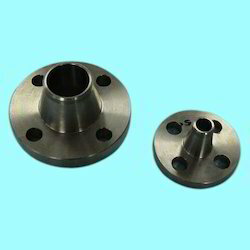 Flange Form: SORF, WNRF, BLRF, SWRF, LAP Joint, Threaded, Reducing, Spectacle, etc. RAJVEER STAINLESS AND ALLOYS offer its Products with Third Party Inspection also. The Inspection Agency can be nominated by clients or RAJVEER STAINLESS AND ALLOYS can be arrange the TPI by World reputed Agencies like Bureau VERITAS, DNV, LLOYDS, ICB and many other. RAJVEER STAINLESS AND ALLOYS emphasis on the packaging to ensure that there is no damage during transit the Carbon Steel Flange, Alloy Steel Flange, Stainless Steel Flange. The Industrial Steel Flanges are packed in wooden corrugated boxes foiled in bubble wraps & are marked with Grade, Lot No, Size, Degree and RAJVEER STAINLESS AND ALLOYS Brand Mark. You can also contact us for customized marking. 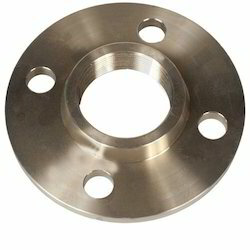 Rajveer Stainless And Alloys can offer vide range of Tube Flange from ready stock or on make to order basis are currently supplying Various steel products such as Angles, Channels, Beams, Billets, Blooms, Round Bars, Square Bars, Rectangular Bars, Flat Bars, Forged Bars, Rolled Bars, Concast Bars, Pipe Fittings, Elbow, Tee, Reducer, Cross, Stub End, End Caps, Forged Stampings, Pipes, Tube, Tubing, Fasteners, Bolts, Nuts, Washers, Screws, Studs, Plates, Sheets, Coil, etc. 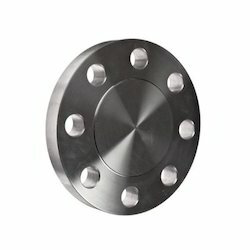 Flange Standards: API 6A, ANSI, ASME, DIN, EN1092-1, UNI, JIS/KS, BS4504, GB, AWWA C207, GOST, PSI. 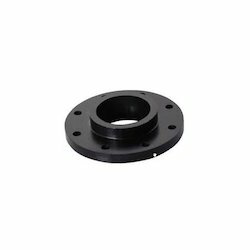 Specifications: Can offer Tube Flange as cast, forged, normalized, annealed, quenched (hardened) tempered condition with black or bright (proof machined) finish. Various type of IBR approved Flanges that can be procured are as follows: Blind, Slp-On, Welding Neck (Weldneck), Long Welding Neck (LWN), Socket Weld, Lap Joint, Threaded, Spectacle Blind, Plate, Collar, Flat Face, Raised Face, Ring Type Joint, etc. Size ranges of flanges that can be offered are ½” inch upto 60” inch depending on type, class grade of flanges. 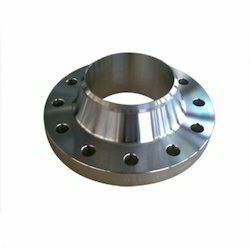 We stock, supply, export, wholesale Tube Flange which are used in applications of Engineering, Construction, Oil Field, Offshore, Shipbuilding, Nuclear Projects, Marine Projects, Medical, Instrumentation, etc. 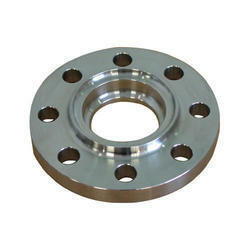 We can supply smaller quantities of Tube Flange from our associated manufacturing unit in India. 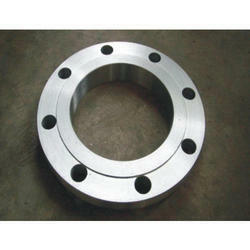 If any requirements for IBR approved Tube Flange kindly do contact us. 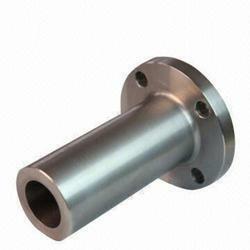 Rajveer Stainless & Alloys, are one of the Leading, manufactures & suppliers of Flanged Tee. Rajveer Stainless & Alloys specializes in manufacturing high pressure, large diameter, high yield, and specialty flanges. 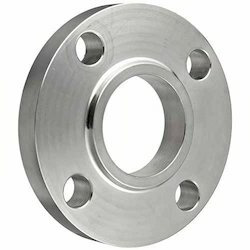 ASME B16.5 Weld Neck Flanges Series A OR B are manufactured using superior grade of steel like Carbon Steel, Alloy Steel, Stainless Steel 201/202, 304/304L, 310S, 316/316L, 317L, 321/321H, 347/347H, 904L. These Flanges are most durable and manufactures to fit in different size of Pipes. The majority of our flanges are manufactured from forged steel with a limited amount machined from bar stock. The forged construction provides higher strength and durability to provide long lasting performance in the application. Rajveer Stainless & Alloys offers competitive pricing and added convenience on flange accessories like flange packs, gaskets, flange connector, and flange bolts, and many other flange accessories which are designed to meet or exceed SAE J518 and ISO 6162. 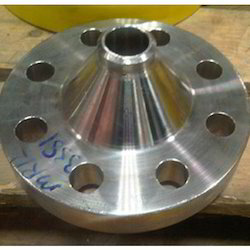 Nickel Alloys ASME B16.5 WELD NECK FLANGES SERIES A OR B: Nickel 200 (UNS No. N02200), Nickel 201 (UNS No. N02201), Monel 400 (UNS No. N04400), Monel 500 (UNS No. N05500), Inconel 800 (UNS No. N08800), Inconel 825 (UNS No. N08825), Inconel 600 (UNS No. N06600), Inconel 625 (UNS No. N06625), Inconel 601 (UNS No. N06601), Hastelloy C 276 (UNS No. N10276), Alloy 20 (UNS No. N08020), Titanium (Grade I & II). Rajveer Stainless & Alloys emphasis on the packaging to ensure that there is no damage during transit the ASME/ ANSI B16.5 Slip On (SO) Pipe Flanges. The ASME/ ANSI B16.5 Slip On (SO) Pipe Flanges are packed in wooden corrugated boxes foiled in bubble wraps & are marked with Grade, Lot No, Size, Degree and Rajveer Stainless & Alloys Brand Mark. You can also contact us for customized marking. Rajveer Stainless & Alloys offer its Products with Third Party Inspection also. The Inspection Agency can be nominated by clients or Rajveer Stainless & Alloys can be arrange the TPI by World reputed Agencies like Bureau VERITAS, DNV, LLOYDS, ICB and many other. Rajveer Stainless & Alloys, produces the flanges which meet all international quality standards such as DIN, EN1092-1, BS4504, ANSI, API, MSS, AWWA, UNI, JIS, SANS, GOST, NFE, ISO, AS, NS etc. We are manufacturing 75lbs, 150lbs, 300lbs, 600lbs, 900lbs, 1500lbs, 2500lbs, PN6, PN10, PN16, PN25, PN40, PN63, PN64, PN100, GOST 12820 and GOST 12821, PN0.6MPA, PN1.0MPA, PN1.6MPA, PN2.5MPA, PN4.0MPA, SANS1123 or SABS1123, 600kpa, 1000kpa, 1600kpa, 2500kpa, 4000kpa flange ratings as per application or client’s requirement. The Puddle Flanges ratings are very important for flanges application, correct flanges rating will keep the application safe. Rajveer Stainless & Alloys specializes in manufacturing high pressure, large diameter, high yield, and specialty flanges. Puddle Flanges are manufactured using superior grade of steel like Carbon Steel, Alloy Steel, Stainless Steel 201/202, 304/304L, 310S, 316/316L, 317L, 321/321H, 347/347H, 904L. These Flanges are most durable and manufactures to fit in different size of Pipes. The majority of our flanges are manufactured from forged steel with a limited amount machined from bar stock. The forged construction provides higher strength and durability to provide long lasting performance in the application. Nickel Alloys Puddle Flanges: Nickel 200 (UNS No. N02200), Nickel 201 (UNS No. N02201), Monel 400 (UNS No. N04400), Monel 500 (UNS No. N05500), Inconel 800 (UNS No. N08800), Inconel 825 (UNS No. N08825), Inconel 600 (UNS No. N06600), Inconel 625 (UNS No. N06625), Inconel 601 (UNS No. N06601), Hastelloy C 276 (UNS No. N10276), Alloy 20 (UNS No. N08020), Titanium (Grade I & II). Rajveer Stainless & Alloys offer its Products with Third Party Inspection also. Pressure Ratings: Class 150, Class 300, Class 400, Class 600, Class 900, Class1500, Class 2500 | PN6, PN10, PN16, PN25, PN40, PN64, 150 LBS, 300 LBS, 600 LBS, 900 LBS, 1500 LBS, 2500 LBS etc. Nickel Alloys Blind flange: Nickel 200 (UNS No. N02200), Nickel 201 (UNS No. N02201), Monel 400 (UNS No. N04400), Monel 500 (UNS No. N05500), Inconel 800 (UNS No. N08800), Inconel 825 (UNS No. N08825), Inconel 600 (UNS No. N06600), Inconel 625 (UNS No. N06625), Inconel 601 (UNS No. N06601), Hastelloy C 276 (UNS No. N10276), Alloy 20 (UNS No. N08020), Titanium (Grade I & II). RAJVEER STAINLESS AND ALLOYS emphasis on the packaging to ensure that there is no damage during transit the ASME/ ANSI B16.5 Blind (BL) Pipe flange. The ASME/ ANSI B16.5 Blind (BL) Pipe flange are packed in wooden corrugated boxes foiled in bubble wraps & are marked with Grade, Lot No, Size, Degree and RAJVEER STAINLESS AND ALLOYS Brand Mark. You can also contact us for customized marking. 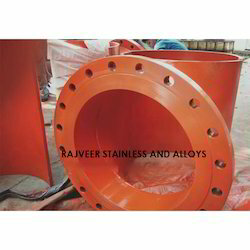 RAJVEER STAINLESS AND ALLOYS is highly acclaimed manufacturer of pipe fittings & flanges. RAJVEER STAINLESS AND ALLOYS, produces the flanges which meet all international quality standards such as DIN, EN1092-1, BS4504, ANSI, API, MSS, AWWA, UNI, JIS, SANS, GOST, NFE, ISO, AS, NS etc. We are manufacturing 75lbs, 150lbs, 300lbs, 600lbs, 900lbs, 1500lbs, 2500lbs, PN6, PN10, PN16, PN25, PN40, PN63, PN64, PN100, GOST 12820 and GOST 12821, PN0.6MPA, PN1.0MPA, PN1.6MPA, PN2.5MPA, PN4.0MPA, SANS1123 or SABS1123, 600kpa, 1000kpa, 1600kpa, 2500kpa, 4000kpa flange ratings as per application or client’s requirement. The ASME/ ANSI B16.5 Weld Neck (WN) Pipe Flanges ratings are very important for flanges application, correct flanges rating will keep the application safe. RAJVEER STAINLESS AND ALLOYS specializes in manufacturing high pressure, large diameter, high yield, and specialty flanges. ASME/ ANSI B16.5 Weld Neck (WN) Pipe Flanges are manufactured using superior grade of steel like Carbon Steel, Alloy Steel, Stainless Steel 201/202, 304/304L, 310S, 316/316L, 317L, 321/321H, 347/347H, 904L. These Flanges are most durable and manufactures to fit in different size of Pipes. The majority of our flanges are manufactured from forged steel with a limited amount machined from bar stock. The forged construction provides higher strength and durability to provide long lasting performance in the application. 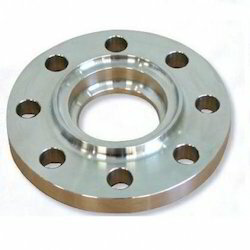 A weld neck flange (also known as a high-hub flange and tapered hub flange) is a type of flange. There are two designs. The regular type is used with pipes. The long type is unsuitable for pipes and is used in process plant. 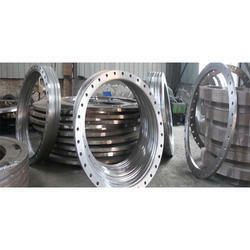 Weld neck pipe flanges are connected to the pipe by welding the pipe to the neck of the pipe flange, which helps to pass on the stress from the weld neck to the pipe itself. RAJVEER STAINLESS AND ALLOYS offers competitive pricing and added convenience. 500 (UNS No. N05500), Inconel 800 (UNS No. N08800), Inconel 825 (UNS No. N08825), Inconel 600 (UNS No. N06600), Inconel 625 (UNS No. N06625), Inconel 601 (UNS No. N06601), Hastelloy C 276 (UNS No. N10276), Alloy 20 (UNS No. N08020), Titanium (Grade I & II). Weldneck Flanges offered come in size options of 20mm OD to 630mm OD with material options of HDPE and drilling standards followed including BS Table D/ E/ F, ASA 150#, DIN Standard. Manufactured using superior quality material procured from reliable sources, these flanges are available in two forms, socket welding flanges and as welding neck type and come fabricated using quality forged carbon steel and latest process techniques. Further, the use of best quality material and advanced technology in manufacturing these flanges also ensure these matches up with international quality and standards. We are a prominent manufacturer of Ring Joint Flanges that are fabricated using superior grades of steel and other alloys. Suitable for various industrial usages, thering joint flanges are resistant to heat, and are extremely durable and reliable with the ability to withstand any amount of stress. Stainless Steel: 304, 304H, 304L, 304LN, 316, 316H, 316L, 316LN, 316Ti, 309, 310, 317L, 321, 347, 904L, etc. Rajveer Stainless & Alloys is highly acclaimed manufacturer of pipe fittings & flanges. RAJVEER STAINLESS AND ALLOYS, produces the flanges which meet all international quality standards such as DIN, EN1092-1, BS4504, ANSI, API, MSS, AWWA, UNI, JIS, SANS, GOST, NFE, ISO, AS, NS etc. We are manufacturing 75lbs, 150lbs, 300lbs, 600lbs, 900lbs, 1500lbs, 2500lbs, PN6, PN10, PN16, PN25, PN40, PN63, PN64, PN100, GOST 12820 and GOST 12821, PN0.6MPA, PN1.0MPA, PN1.6MPA, PN2.5MPA, PN4.0MPA, SANS1123 or SABS1123, 600kpa, 1000kpa, 1600kpa, 2500kpa, 4000kpa flange ratings as per application or client’s requirement. The ASME B16.36 Orifice flanges ratings are very important for flanges application, correct flanges rating will keep the application safe. Rajveer Stainless & Alloys specializes in manufacturing high pressure, large diameter, high yield, and specialty flanges. 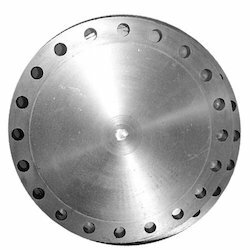 ASME B16.36 Orifice flanges are manufactured using superior grade of steel like Carbon Steel, Alloy Steel, Stainless Steel 201/202, 304/304L, 310S, 316/316L, 317L, 321/321H, 347/347H, 904L. These Flanges are most durable and manufactures to fit in different size of Pipes. The majority of our flanges are manufactured from forged steel with a limited amount machined from bar stock. The forged construction provides higher strength and durability to provide long lasting performance in the application. 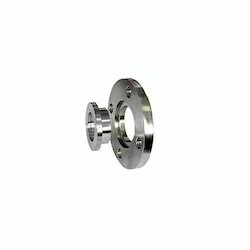 Orifice Flanges are used with orifice meters for the purpose of measuring the flow rate of either liquids or gases in the respective pipeline. We manufacture Orifice flanges in three types of flanges: Welding Neck, Slip-On and Threaded. This standard includes welding neck flanges Classes 300, 400, 600, and 900, 1500, and 2500— as well as slip-on and threaded Class 300 flanges. 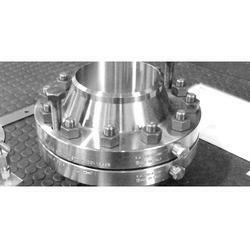 These flanges and associated components are often used in conjunction with equipment that helps meter or measure the flow of liquids or gases in a pipeline. RAJVEER STAINLESS AND ALLOYS can construct Orifice Flanges from any number of construction materials including stainless steel, alloy, carbon steel or any other suitable material of choice. Do you need your ASME B16.36 Orifice flanges or other pipe flanges shipped to you internationally? Not only do we ship all of our fittings & flanges globally, we will consolidate the order for you and ship it to the closest port near you. We have gained several Orders of ASME B16.36 Orifice flanges from countries like US, Canada, Chile, Brazil, UK, Italy, Belgium, France, Portugal, South Africa, Nigeria, United Arab Emirates (UAE), Bahrain, Saudi Arabia, Qatar, Kuwait, Jordan, Malaysia, Thailand, Singapore, Indonesia, Sudan, Kazakhstan, Australia, Israel, Kenya, Russia, Tunisia, Vietnam, Colombia, Sri Lanka, etc. 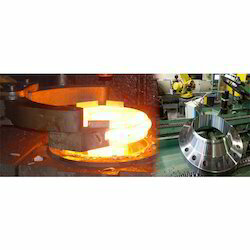 RAJVEER STAINLESS AND ALLOYS is highly acclaimed manufacturer of industrial forged flanges (A-182, ANSI B16.5) and plate flanges (A-240, ANSI B16.5). RAJVEER STAINLESS AND ALLOYS, produces the flanges which meet all international quality standards such as DIN, EN1092-1, BS4504, ANSI, API, MSS, AWWA, UNI, JIS, SANS, GOST, NFE, ISO, AS, NS etc. We are manufacturing 75lbs, 150lbs, 300lbs, 600lbs, 900lbs, 1500lbs, 2500lbs, PN6, PN10, PN16, PN25, PN40, PN63, PN64, PN100, GOST 12820 and GOST 12821, PN0.6MPA, PN1.0MPA, PN1.6MPA, PN2.5MPA, PN4.0MPA, SANS1123 or SABS1123, 600kpa, 1000kpa, 1600kpa, 2500kpa, 4000kpa flange ratings as per application or client’s requirement. The Industrial Steel Flanges ratings are very important for flanges application, correct flanges rating will keep the application safe. RAJVEER STAINLESS AND ALLOYS specializes in manufacturing Slip-On flange, Weld-Neck flange and Lap-Joint Flange, high pressure, large diameter flanges, high yield, Threaded flange and Blind Flange and specialty flanges. Industrial Steel Flanges are manufactured using superior grade of steel like Carbon Steel Flanges A-105 , Alloy Steel Flanges, Stainless Steel Flanges 201/202, 304/304L, 310S, 316/316L, 317L, 321/321H, 347/347H, 904L. These Flanges are most durable and manufactures to fit in different size of Pipes & used as connectors in piping systems to connect pipes to pipes, tees, reducers, elbows, valves and other piping equipment’s. The majority of our flanges are manufactured from forged steel with a limited amount machined from bar stock. The forged construction provides higher strength and durability to provide long lasting performance in the application. Rajveer Stainless & Alloys is highly acclaimed manufacturer of pipe fittings & flanges. Rajveer Stainless & Alloys, produces the flanges which meet all international quality standards such as DIN, EN1092-1, BS4504, ANSI, API, MSS, AWWA, UNI, JIS, SANS, GOST, NFE, ISO, AS, NS etc. We are manufacturing 75lbs, 150lbs, 300lbs, 600lbs, 900lbs, 1500lbs, 2500lbs, PN6, PN10, PN16, PN25, PN40, PN63, PN64, PN100, GOST 12820 and GOST 12821, PN0.6MPA, PN1.0MPA, PN1.6MPA, PN2.5MPA, PN4.0MPA, SANS1123 or SABS1123, 600kpa, 1000kpa, 1600kpa, 2500kpa, 4000kpa flange ratings as per application or client’s requirement. The Puddle Flanges ratings are very important for flanges application, correct flanges rating will keep the application safe. Do you need your Puddle Flanges or other pipe flanges shipped to you internationally? Not only do we ship all of our fittings & flanges globally, we will consolidate the order for you and ship it to the closest port near you. We have gained several Orders of Puddle Flanges from countries like US, Canada, Chile, Brazil, UK, Italy, Belgium, France, Portugal, South Africa, Nigeria, United Arab Emirates (UAE), Bahrain, Saudi Arabia, Qatar, Kuwait, Jordan, Malaysia, Thailand, Singapore, Indonesia, Sudan, Kazakhstan, Australia, Israel, Kenya, Russia, Tunisia, Vietnam, Colombia, Sri Lanka, etc. 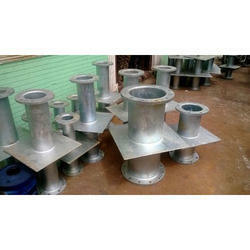 Should you like to send you next enquiry for Puddle Flanges to RAJVEER STAINLESS AND ALLOYS, please send us an email. 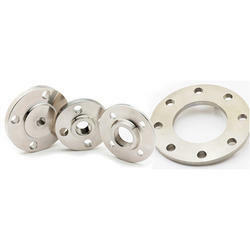 We are instrumental in offering a quality array of Plate Flanges. These plate flanges are manufactured at the vendors' end using different types of metals ensuring optimum functionality and smoothness. 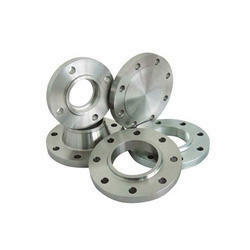 Customers can avail these flanges from us in varied specifications as per their requirements. 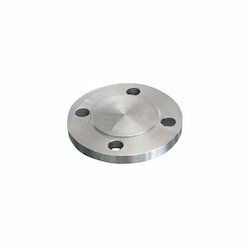 Further, our offered plate flanges are widely used in petrochemical projects, pipe engineering and public appliances. We deliver these products at the clients' end within the postulated time. Manufacturers, dealer, distributor, stockist & suppliers of ASME/ ANSI B16.5 Plate Flanges (SLIP-ON) Plate Flanges (SLIP-ON) manufacturing & drilling in Our Work Shop ANSI B16.5 FLANGE, Plate Flanges (SLIP-ON), CLASS 150, CLASS 300, CLASS 600, CLASS 900, CLASS1500, CLASS 2500 flange, flanges, flanges competitive prices, flanges exporter, flanges make, flanges manufacturer, flanges sales, forged flanges, pipe flanges, steel flanges RAJVEER STAINLESS AND ALLOYS is highly acclaimed manufacturer of pipe fittings & flanges. 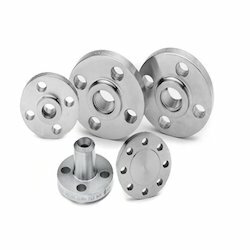 RAJVEER STAINLESS AND ALLOYS produces the flanges which meet all international quality standards such as DIN, EN1092-1, BS4504, ANSI, API, MSS, AWWA, UNI, JIS, SANS, GOST, NFE, ISO, AS, NS etc. We are manufacturing 75lbs, 150lbs, 300lbs, 600lbs, 900lbs, 1500lbs, 2500lbs, PN6, PN10, PN16, PN25, PN40, PN63, PN64, PN100, GOST 12820 and GOST 12821, PN0.6MPA, PN1.0MPA, PN1.6MPA, PN2.5MPA, PN4.0MPA, SANS1123 or SABS1123, 600kpa, 1000kpa, 1600kpa, 2500kpa, 4000kpa flange ratings as per application or client’s requirement. The ASME/ ANSI B16.5 Plate Flanges (SLIP-ON) ratings are very important for flanges application; correct flanges rating will keep the application safe. RAJVEER STAINLESS AND ALLOYS specializes in manufacturing high pressure, large diameter, high yield, and specialty flanges. ASME/ ANSI B16.5 Plate Flanges (SLIP-ON) are manufactured using superior grade of steel like Carbon Steel, Alloy Steel, Stainless Steel 201/202, 304/304L, 310S, 316/316L, 317L, 321/321H, 347/347H, 904L. A plate flange is a flat, circular disk that is welded onto the end of a pipe and allows it to be bolted to another pipe. 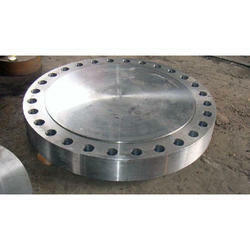 Typically used in fuel and water pipelines, the two flange plates will be bolted together with a gasket in between them. The flange plate will have bolt holes all around the perimeter and will be used to create junctions, tees and joints. Plate flange [Slip on plate flange, also known as hubless or plate flanges] is different with slip on flange without neck for contact with fitting, it usually include GB flange and DIN flange, In ANSI, ASME flange system, which have this kind of flange, how to tell plate flange and slip on flange, we name slip on flange with neck to slip on welding neck flange, and plate flange for slip on plate flange. Why use Plate flanges? 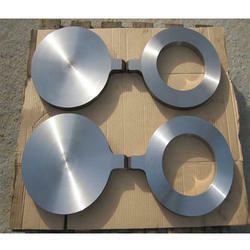 Stainless steel plate flanges are produced from quality mill plate. Mill plate produced to the ASTM A240 and ASME SA240 standards is virtually free of voids, non-metallic inclusions and other defects. The inherent corrosion resistance of stainless steel is enhanced by the superior grain structure offered by plate products over forged or cast products. 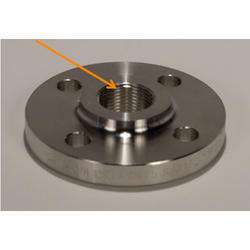 The LapJoint Flange is practically identical to a slip-on flange except it has a radius at the intersection of the bore and flange face. This radius is necessary to have the flange accommodate a lap joint stub end are mated together in an assembly system. C51000 Phosphor Bronze "5% A", C52100 Phosphor Bronze "8% C", C52400 Phosphor Bronze "10% D", C53400 Phosphor Bronze "B-1", C54400 Phosphor Bronze "B-2" "Free Cutting", C66800 Manganese Bronze, C67300 Manganese Bronze, C67310 Manganese Bronze, C67400 Manganese Bronze, C67410 Manganese Bronze, C67420 Manganese Bronze, C67500 Manganese Bronze, C67600 Manganese Bronze, C86200 Manganese Bronze, C86300 Manganese Bronze, C90200 Tin Bronze, C90300 Tin Bronze, C90500 Tin Bronze, C90700 Tin Bronze, C91100 Tin Bronze, C93200 Bearing Bronze, C61000 Bronze, C61300 Bronze, C61400 Bronze, C61800 Bronze, C62300 Bronze, C62400 Bronze, C62500 Bronze, C63400 Bronze, C95200 Bronze, C95400 Bronze, C95900 Bronze, CuAl11Ni5Fe5 Bronze, NBM 37Rc Forming Die Bronze, NFL14706 Bronze, AMS 4616 Silicon Bronze, C65100 Low Silicon Bronze "B", C65300 Silicon Bronze, C65500 High Silicon Bronze "A", C65610 Silicon Bronze, C65620 Silicon Bronze. Weldo / Nipo Flanges manufacturing & drilling in Our Work Shop. The Weldo flange and Nipo flange is a combination of a Welding Neck flange and a supposedly Weldolet or Nippolet. Nickel Alloys Weldo / Nipo Flanges: Nickel 200 (UNS No. N02200), Nickel 201 (UNS No. N02201), Monel 400 (UNS No. N04400), Monel 500 (UNS No. N05500), Inconel 800 (UNS No. N08800), Inconel 825 (UNS No. N08825), Inconel 600 (UNS No. N06600), Inconel 625 (UNS No. N06625), Inconel 601 (UNS No. N06601), Hastelloy C 276 (UNS No. N10276), Alloy 20 (UNS No. N08020), Titanium (Grade I & II). Rajveer Stainless & Alloys emphasis on the packaging to ensure that there is no damage during transit the Weldo / Nipo Flanges. The Weldo / Nipo Flanges are packed in wooden corrugated boxes foiled in bubble wraps & are marked with Grade, Lot No, Size, Degree and Rajveer Stainless & Alloys Brand Mark. You can also contact us for customized marking. RAJVEER STAINLESS AND ALLOYS is highly acclaimed manufacturer of pipe fittings & flange. RAJVEER STAINLESS AND ALLOYS, produces the flange which meet all international quality standards such as DIN, EN1092-1, BS4504, ANSI, API, MSS, AWWA, UNI, JIS, SANS, GOST, NFE, ISO, AS, NS etc. We are manufacturing 75lbs, 150lbs, 300lbs, 600lbs, 900lbs, 1500lbs, 2500lbs, PN6, PN10, PN16, PN25, PN40, PN63, PN64, PN100, GOST 12820 and GOST 12821, PN0.6MPA, PN1.0MPA, PN1.6MPA, PN2.5MPA, PN4.0MPA, SANS1123 or SABS1123, 600kpa, 1000kpa, 1600kpa, 2500kpa, 4000kpa flange ratings as per application or client’s requirement. The ANSI B16.5 Socket welding flange ratings are very important for flange application, correct flange rating will keep the application safe. RAJVEER STAINLESS AND ALLOYS specializes in manufacturing high pressure, large diameter, high yield, and specialty flange. 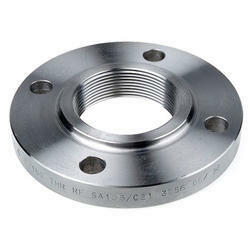 ANSI B16.5 Socket welding flange are manufactured using superior grade of steel like Carbon Steel, Alloy Steel, Stainless Steel 201/202, 304/304L, 310S, 316/316L, 317L, 321/321H, 347/347H, 904L. 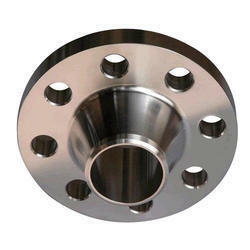 These flange are most durable and manufactures to fit in different size of Pipes. 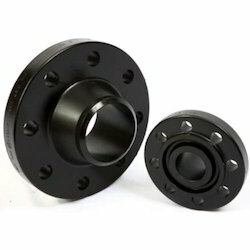 The majority of our flange are manufactured from forged steel with a limited amount machined from bar stock. The forged construction provides higher strength and durability to provide long lasting performance in the application. Enriched with vast industrial experience, we are involved in offering a wide range of Raised Face Flange. These are engineered from optimum quality components which ensure its longer service life, robustness and accurate dimensions. Some of the salient features which make these one of the most favoured selections of clients are its robust construction, accurate dimension and high functional efficiency. 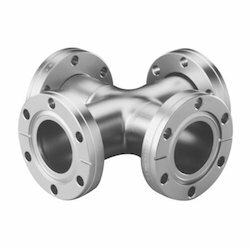 We have established ourselves as one of the prominent organizations know for manufacturing and supplying a qualitative range of Pipe Flanged. High on performance and best in quality, these products are widely demanded in various sectors of the industry. Moreover, these products are offered with various attributes and features to withstand all sorts of water pressures. We have emerged as the foremost trader, retailer, wholesaler and supplier of Forged Steel Flanges that are used in mechanical devices. The provided flanges are known for various features like extraordinary surface finish and high strength. Our vendors’ experts use superior quality raw material and progressive technology to manufacture these flanges. Being client centric firm, we have tested these flanges against different parameters so as to ensure their quality. Material: ASTM A105, DIN ST37.2 ASTM A182-F304, F304L, F316, F316L, Titanium, Copper-Nickel Alloy. 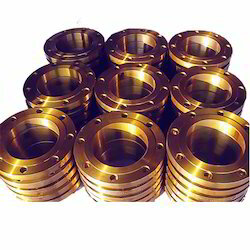 We are the foremost company for providing Brass Flanges to the clients. This product is available in both, standard as well as customized specifications as per the requirements of esteemed clients. 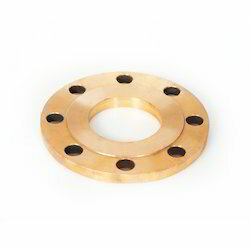 Brass Flanges is carefully manufactured with extreme perfection under professionals' direction by utilizing standard quality raw material coupled with the contemporary technology in line with the set industry norms. Offered range is thoroughly tested on stringent parameters to adhere with the set industry standards. Constructed in a careful manner, this Hub Flange is abrasion-resistant in nature. 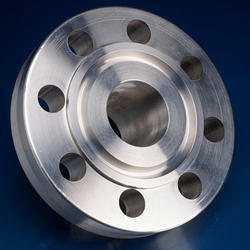 Nickel Alloys Lip type flange: Nickel 200 (UNS No. N02200), Nickel 201 (UNS No. N02201), Monel 400 (UNS No. N04400), Monel 500 (UNS No. N05500), Inconel 800 (UNS No. N08800), Inconel 825 (UNS No. N08825), Inconel 600 (UNS No. N06600), Inconel 625 (UNS No. N06625), Inconel 601 (UNS No. N06601), Hastelloy C 276 (UNS No. N10276), Alloy 20 (UNS No. N08020), Titanium (Grade I & II). RAJVEER STAINLESS AND ALLOYS emphasis on the packaging to ensure that there is no damage during transit the Lip type flange. The Lip type flange are packed in wooden corrugated boxes foiled in bubble wraps & are marked with Grade, Lot No, Size, Degree and RAJVEER STAINLESS AND ALLOYS Brand Mark. You can also contact us for customized marking.